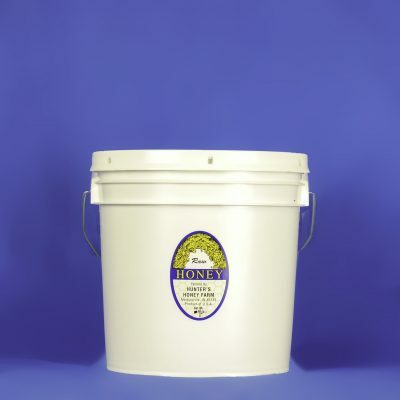 Pure and natural raw honey in a 60 lb bucket. 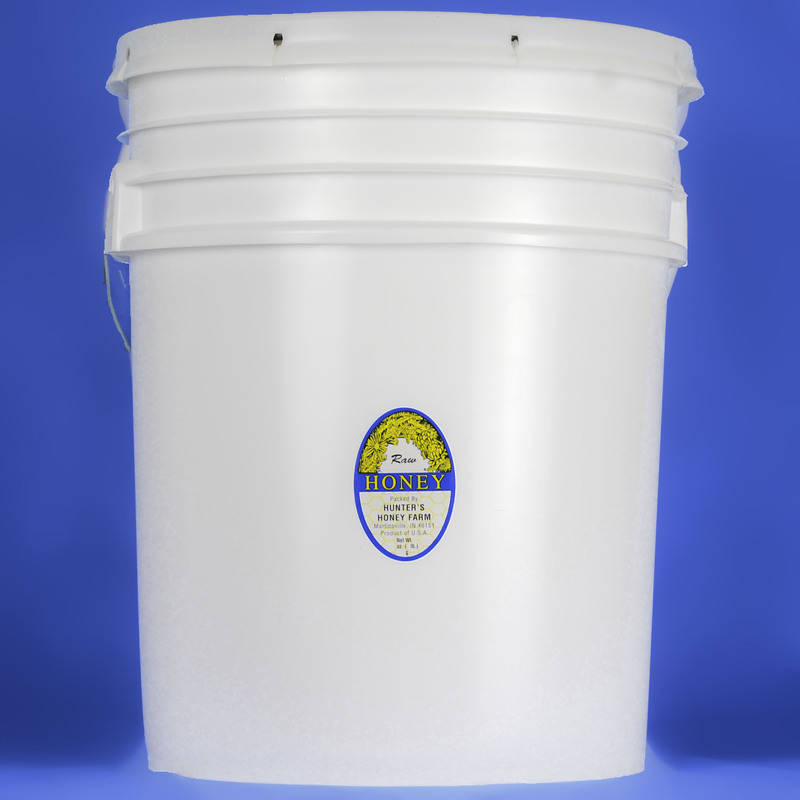 We extract raw honey from our hives and pour it directly into the container with no processing. 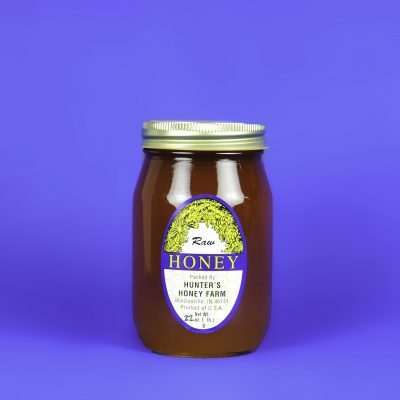 We do not heat, strain or filter our raw honey in any way. Therefore, it may have a few specks in it. Most likely, it will probably be crystallized by November. But that just makes it easier to spread on toast. Of course, crystallized honey can always be reliquified by immersing the bottle in warm water. Due to shipping arrangements please call us to place your order for a 60 lb bucket of Raw Honey. Call 765-537-9430 or 800-877-2086 (toll free).